In black is the old way of writing. In red is what each kanji means. In today’s class, everyone went to the calligraphy and art classrooms. There were many beautiful calligraphy and art pieces. Some of the art pieces were impressive, so I decided to take a picture of them. 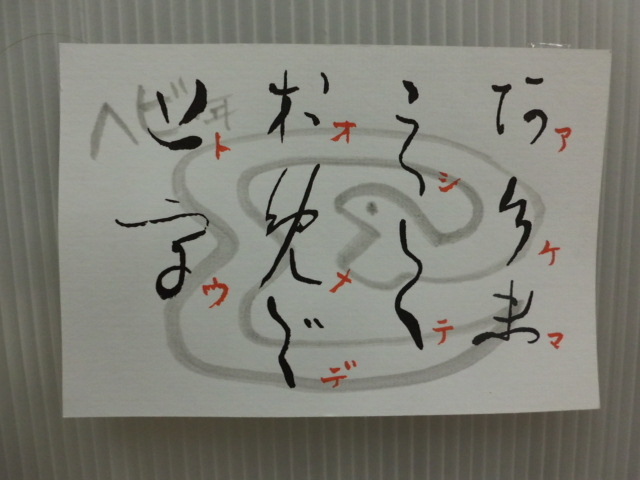 Later on, I’d like to try to make a bag calligraphy. If my Japanese is wrong, please correct me! I’m still learning! 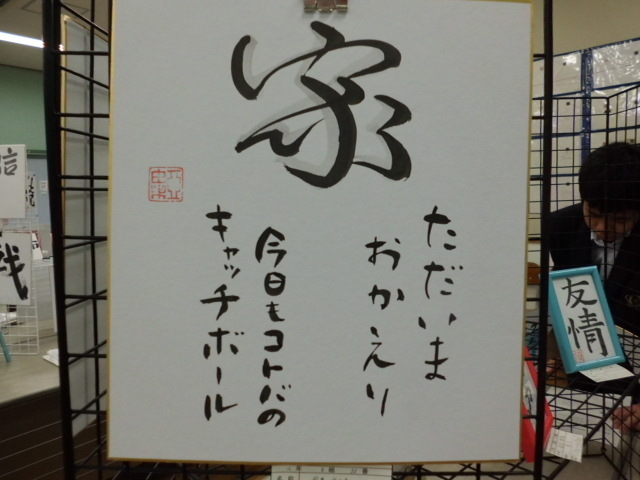 This entry was posted in Art (芸術), Japan (日本) and tagged Art (芸術), calligraphy, 美術, Japan (日本), Japanese, kanji, 日本語, 昔の, 書道, 漢字. Bookmark the permalink.